Jackson Hole Mountain Resort is a year-round adventure outpost offering an incredible environment for recreation enthusiasts and families. Sitting at the gateway to Grand Teton National Park, “The Big One” is in a realm of its own as far as premier outdoor resorts in the West and offers incredible skiing and snowboarding in the winter and unparalleled sightseeing, hiking and biking in the summer. 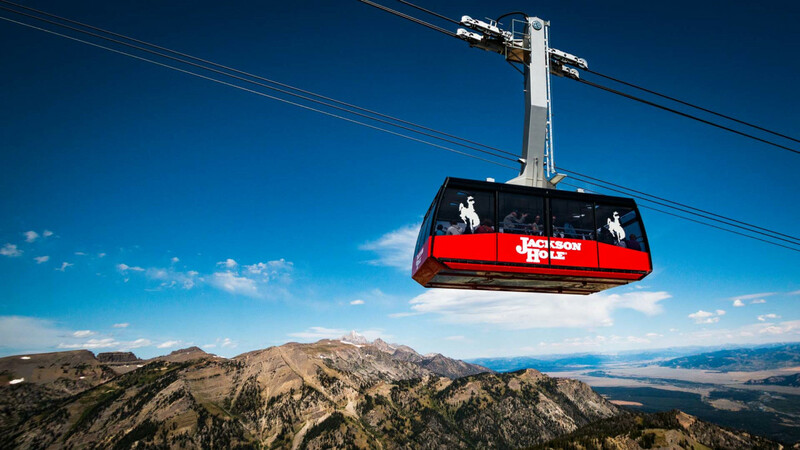 Ride the famous 100-passenger Jackson Hole Aerial Tram from Teton Village (6,311 feet) to the summit of Rendezvous Mountain at 10,450 feet to stand on top of the Teton Range. This unforgettable ride whisks passengers an amazing 4,139 vertical feet for unbeatable 360 degree views of the Tetons and surrounding National Park below. The base in Teton Village is the gateway to the Park and offers fun family activities, world-class restaurants and hotels. Riding the aerial tram is a must-do for any Grand Teton National Park visitor and is the ultimate way to truly experience the grandeur of the mountains.